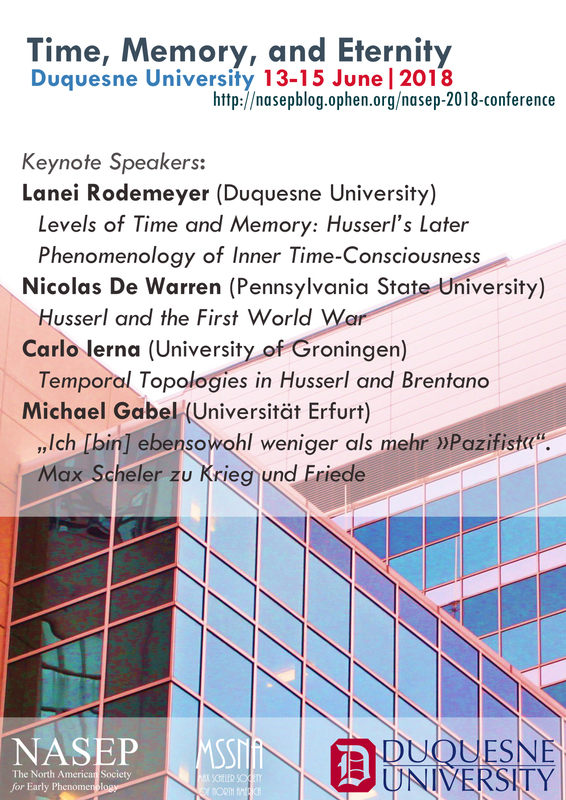 This year’s conference will be held 13-15 June, at Duquesne University, and is hosted by Prof. Jeffrey McCurry, Director of the Simon Silverman Phenomenology Center. The conference will held in the Power Center. Click here for a campus map. For those of you seeking accommodations, there is on-campus housing available. The rates indicated here are inclusive (ie, there are no additional taxes or service charges). The exception is the linen charge. This is applied per set. Linens can be provided for the guests at $7.50 per set. A set of linens include: one pillow, one blanket, two sheets, one pillow case, two towels, and two washcloths. Phone reservations for the Cambria Suites can be made by calling 1-877-305-7123 between 8am-7pm EST Monday through Friday and 9am-3pm EST on Saturday. There are also a wide range of hotels and AirBnB options near campus.